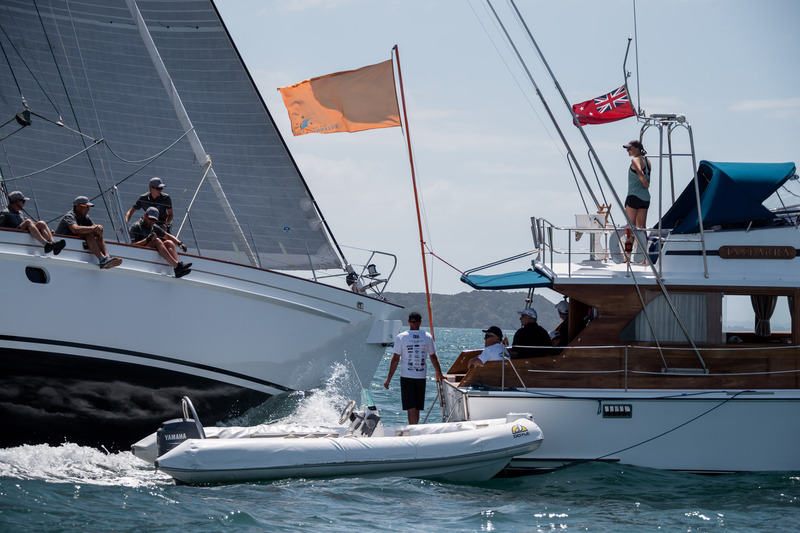 Racing continues on day two at the NZ Millennium Cup regatta with challenging conditions, a time penalty and then victory for one vessel in an unexpected arena. 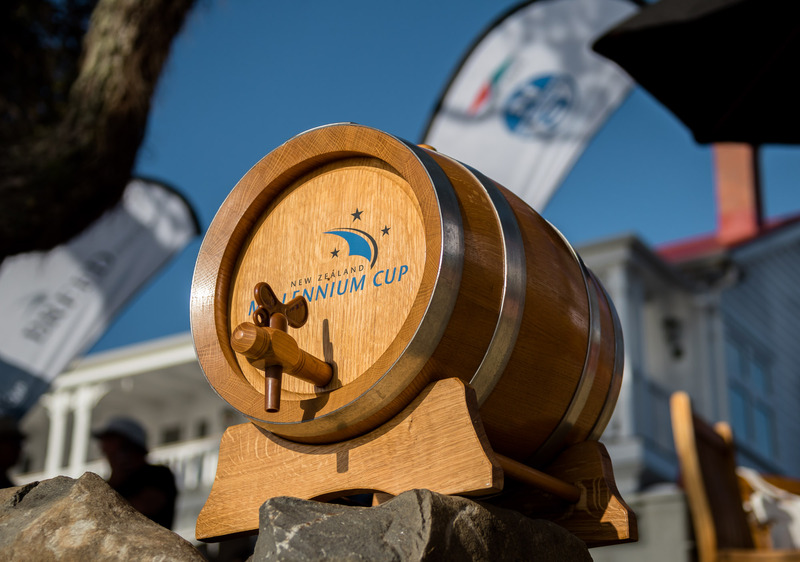 On a day that started with light air and ended with a battle for a rum barrel, the second day of the New Zealand Millennium Cup was a perfect example of varied racing in the local harbour. 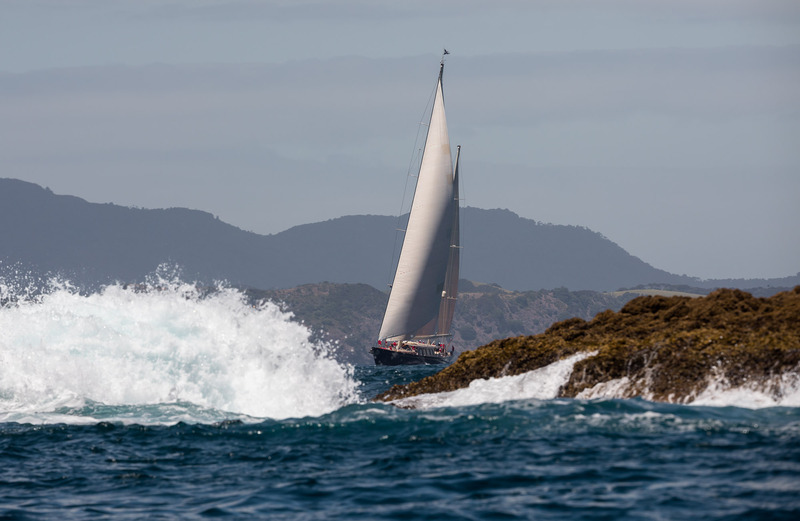 After a delayed start while the fleet waited for the breeze to build, the signals were raised and Tawera was first off the rank – heading straight across the bay for Tapeka Point before taking a starboard line as she left the mouth of the bay. 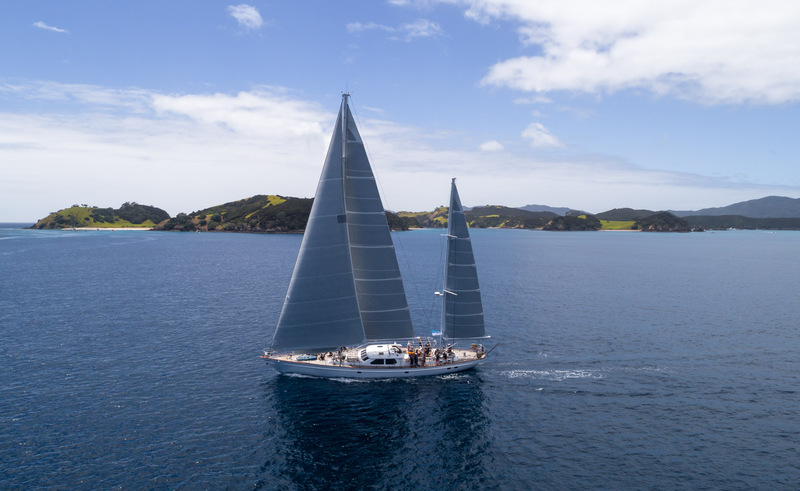 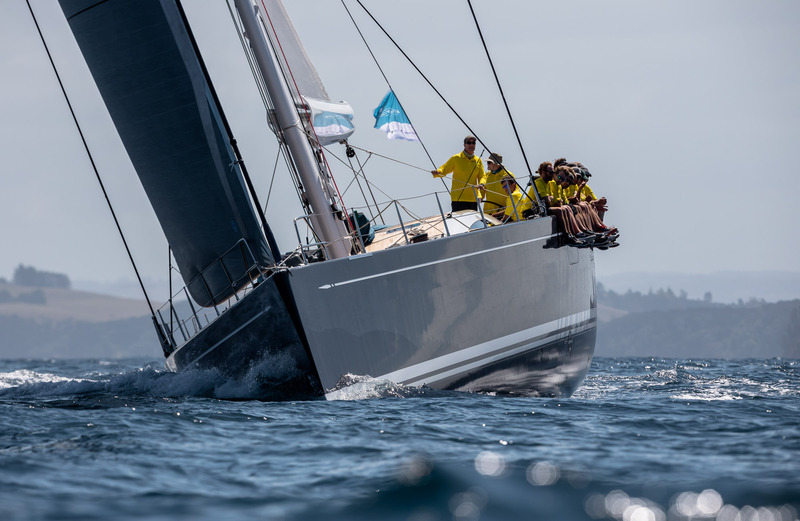 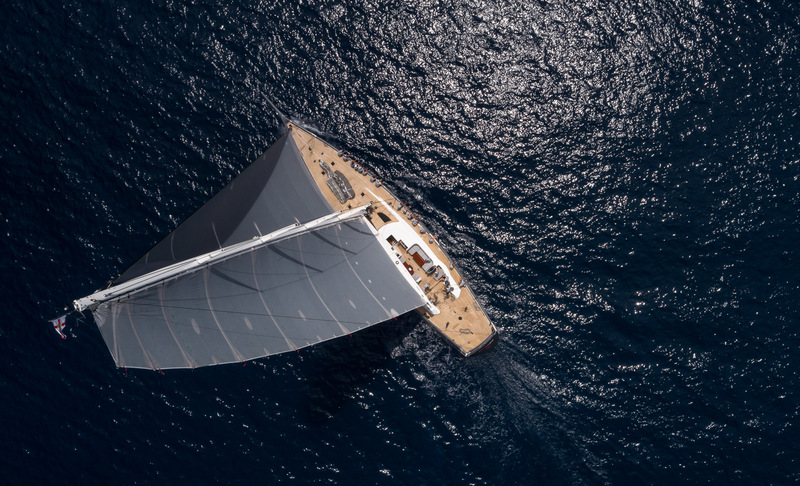 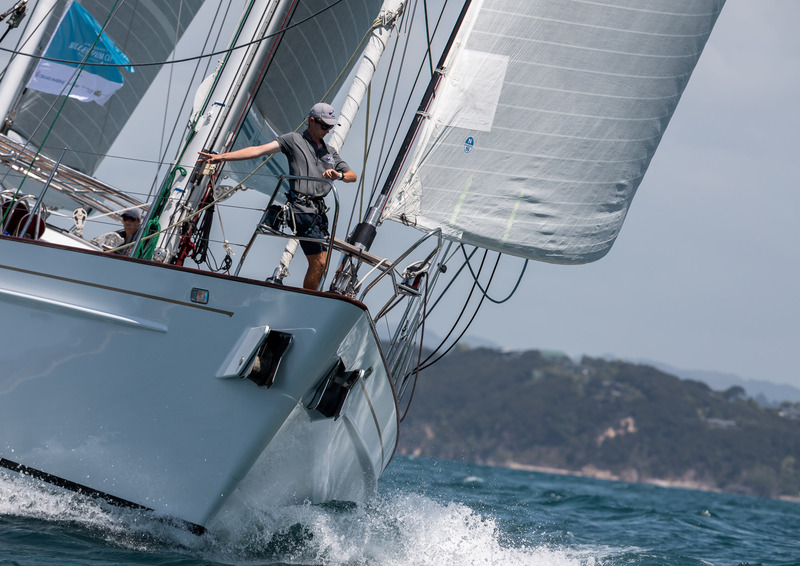 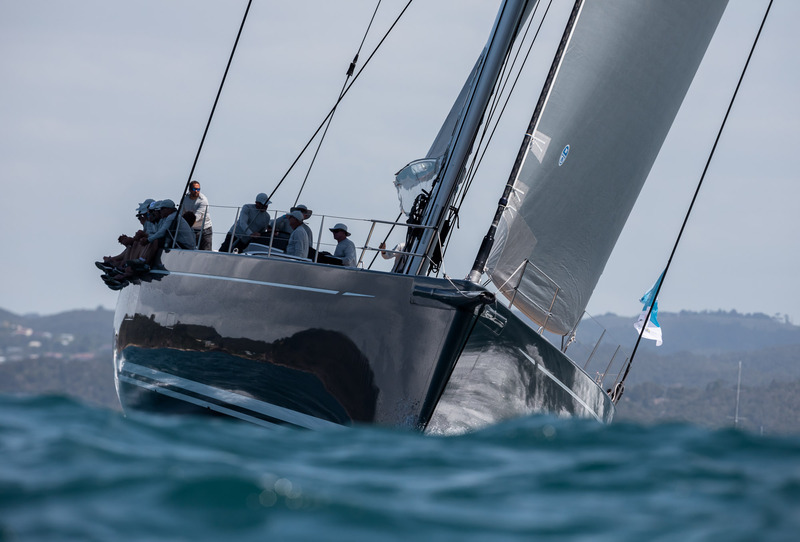 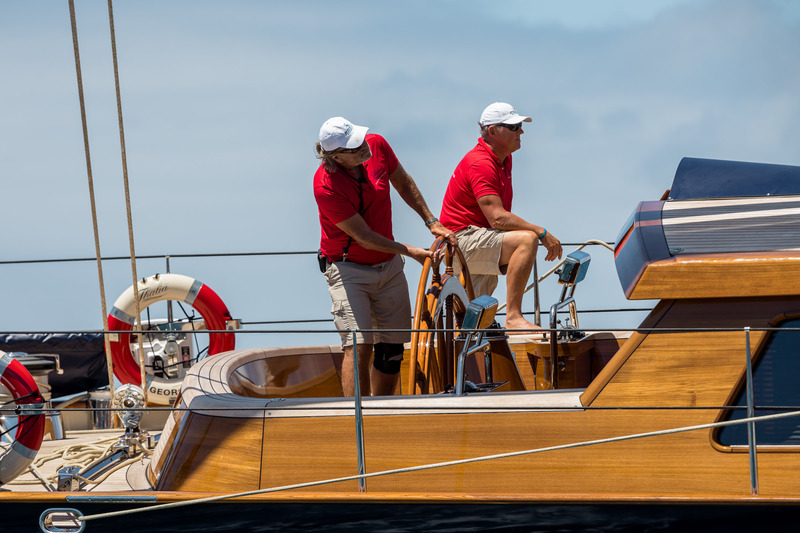 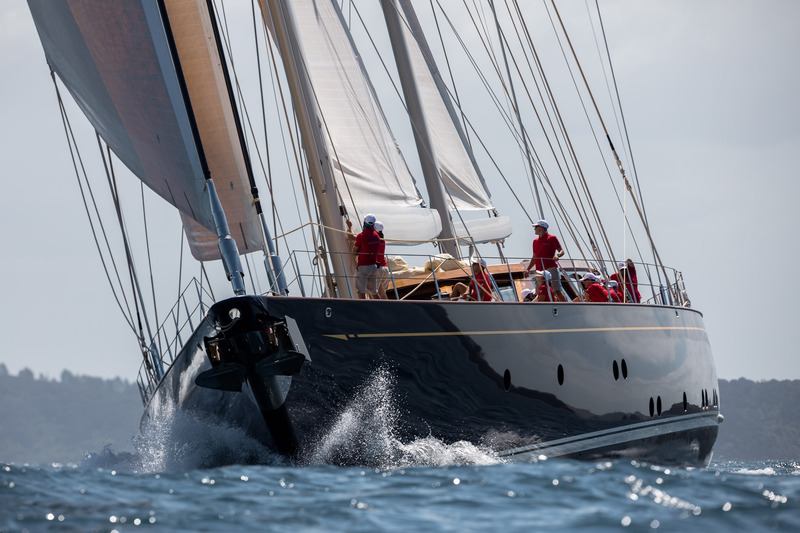 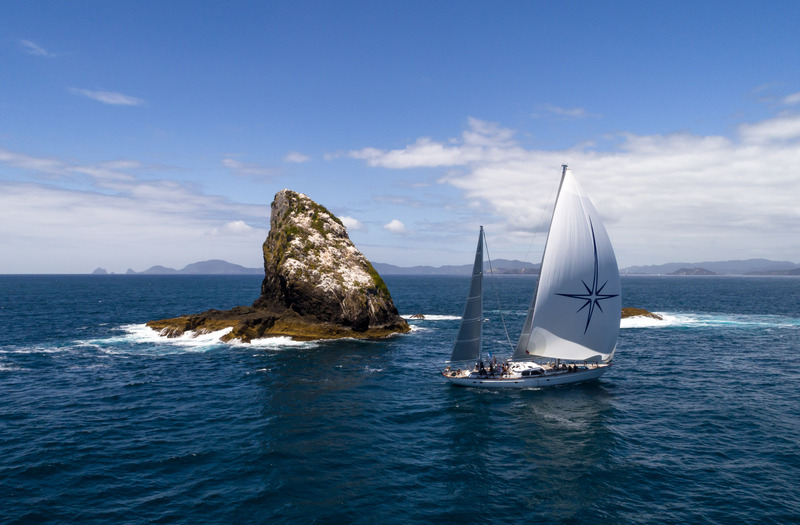 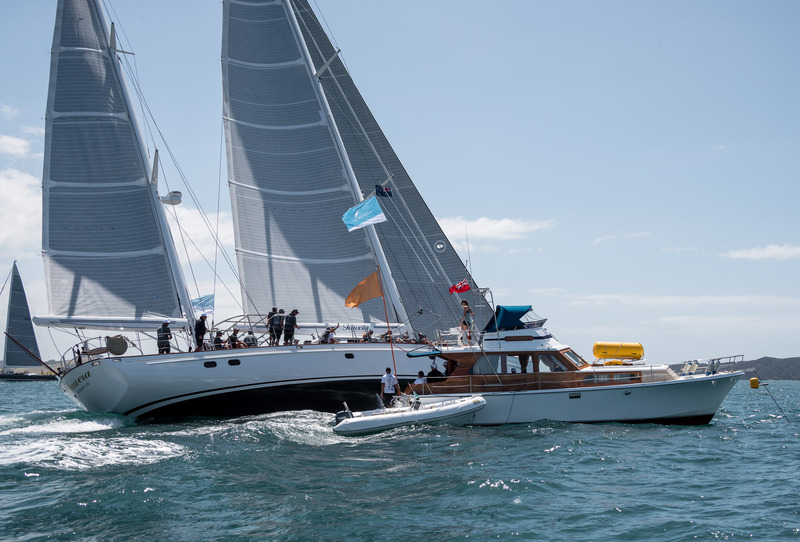 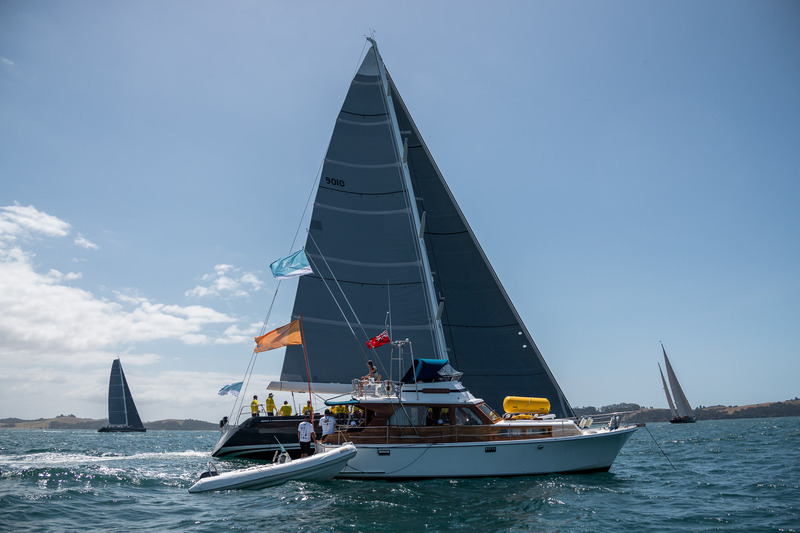 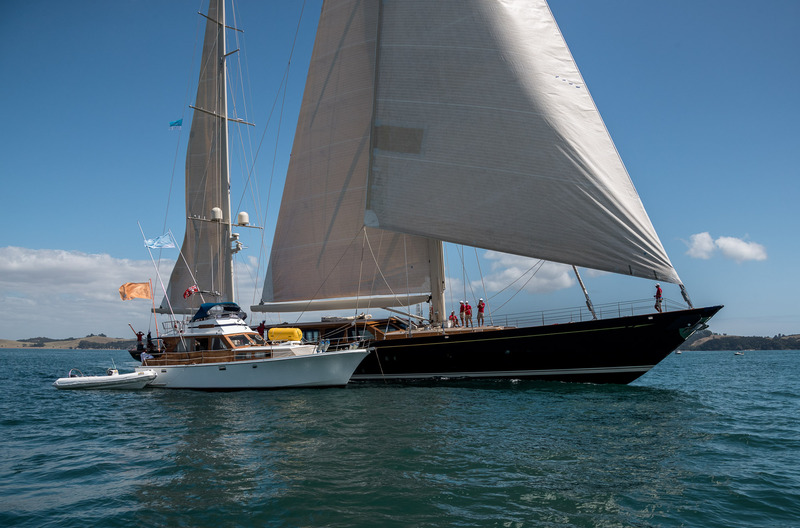 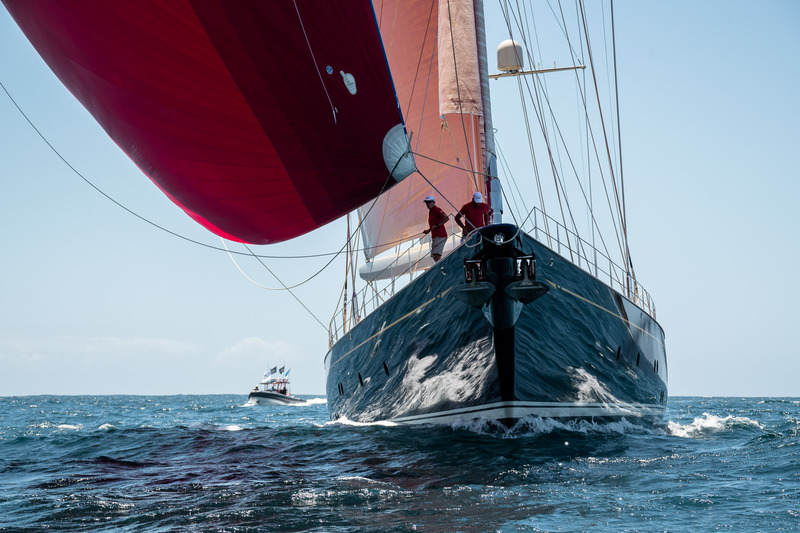 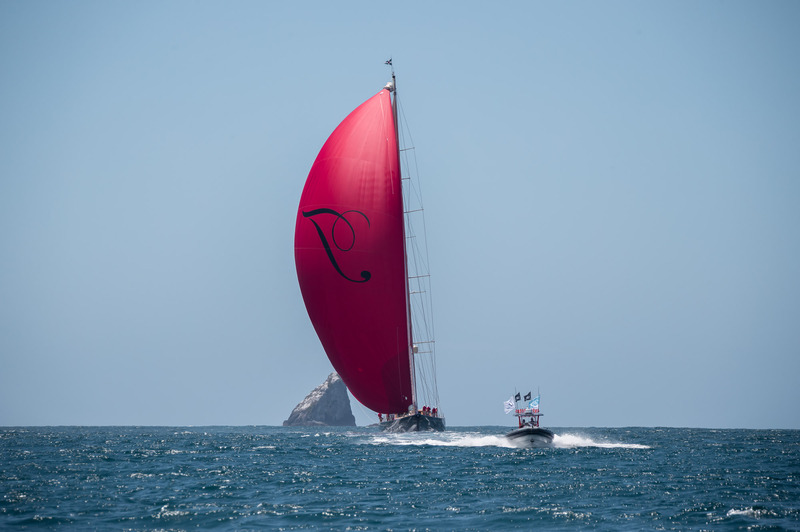 As Thalia followed her tack, the light air took a toll and the big 48-metre ketch was slow but steady as she worked to pick up the pace, pointing higher than Tawera. 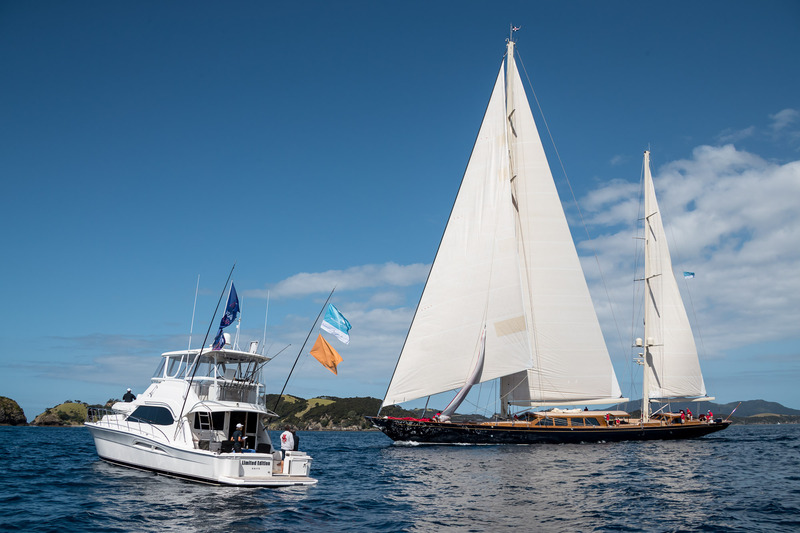 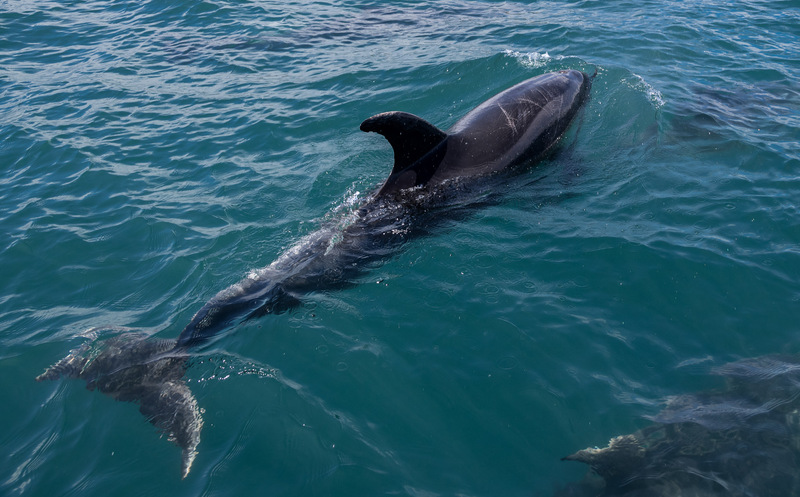 At the head of the pack, Freya emerged at the lead as she tacked followed by Tawera – likewise, Silvertip had overhauled the big ketch, Thalia, as they left the mouth of the bay. 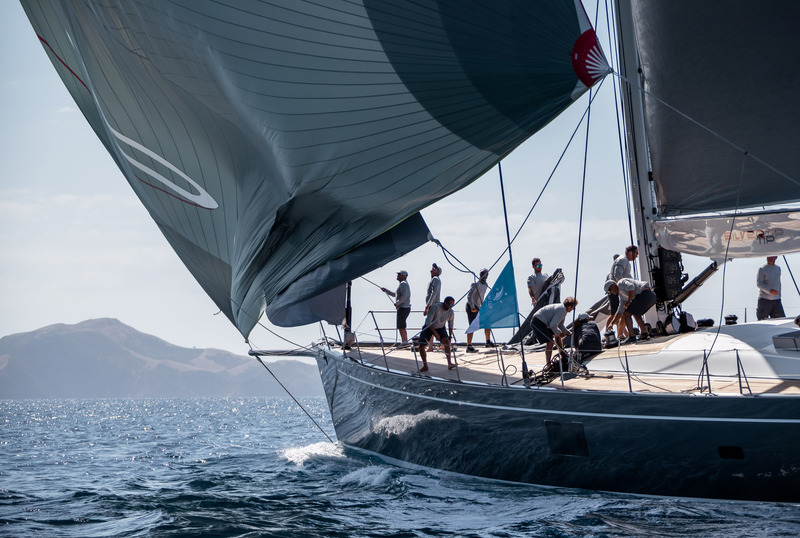 A soft patch on the stretch to the Orams Marine Mark promised a challenge and the lack of breeze paid a toll on Thalia and Tawera; both had fallen to the back of the pack, while the two sloops were in front but likewise affected by lack of wind. 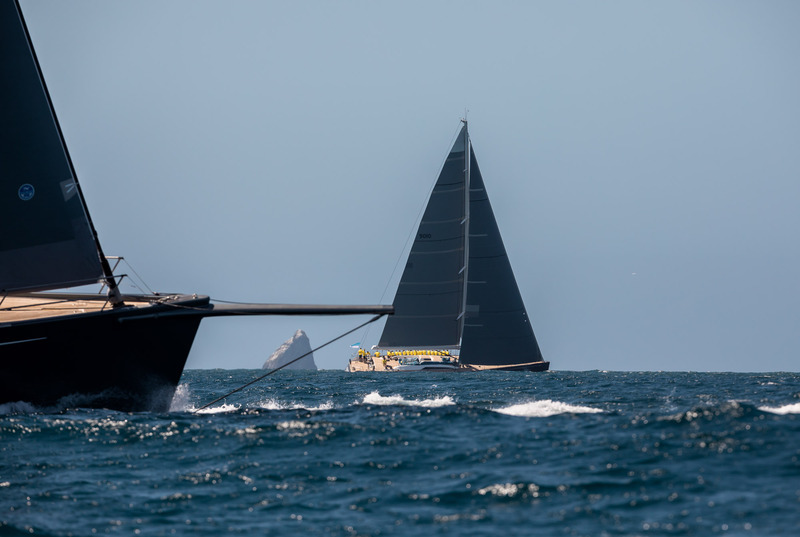 Tawera followed suit, coming even closer, while Thalia took an unfortunate wind shift on approach, recovered well and rounded strongly. 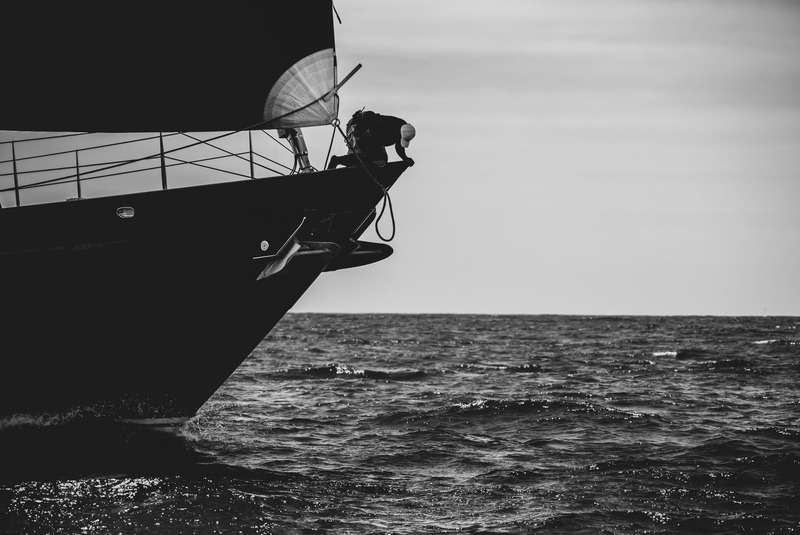 The wind was also strengthening and sped the fleet on its way to the Nine Pin and then home. 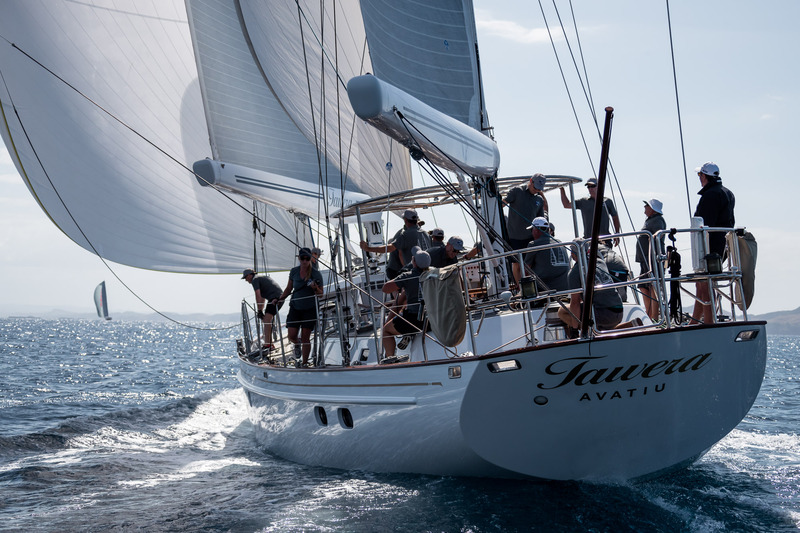 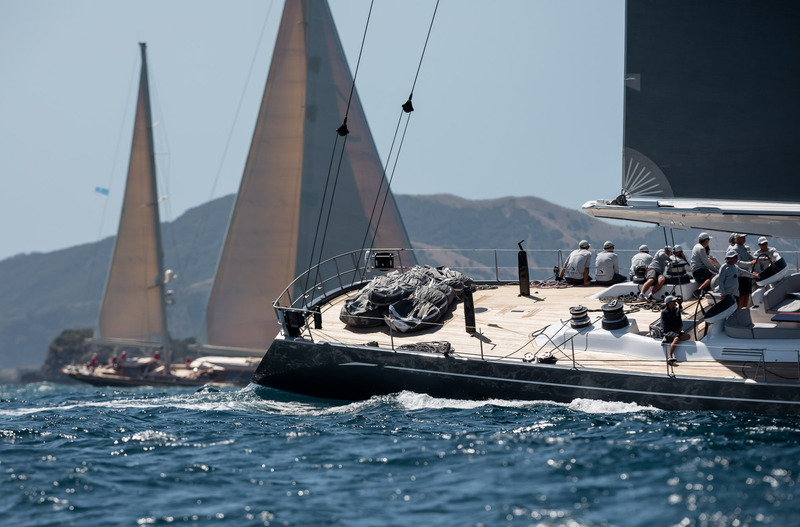 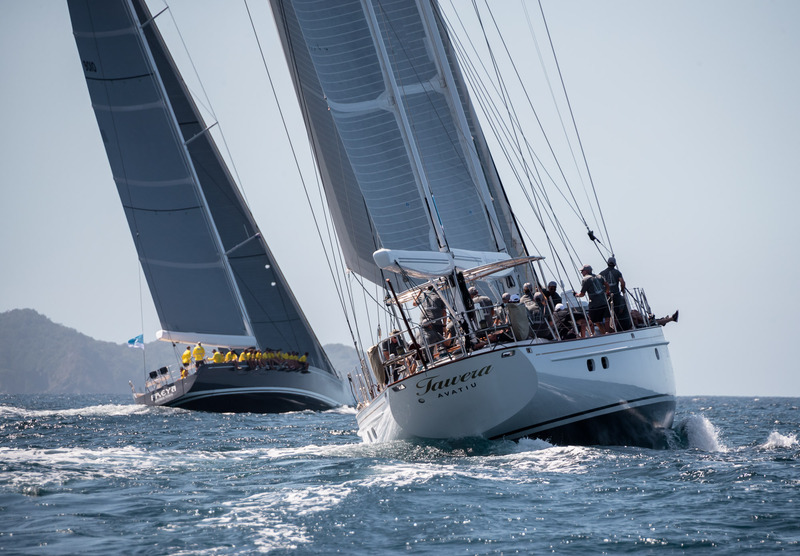 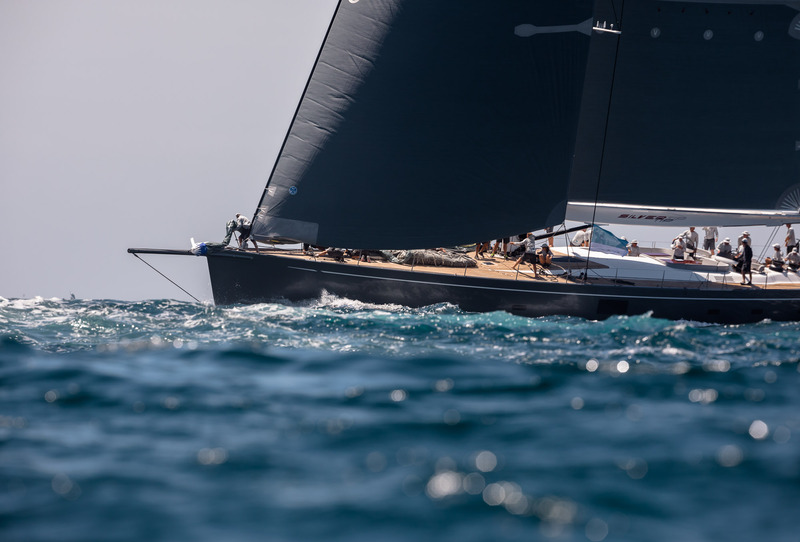 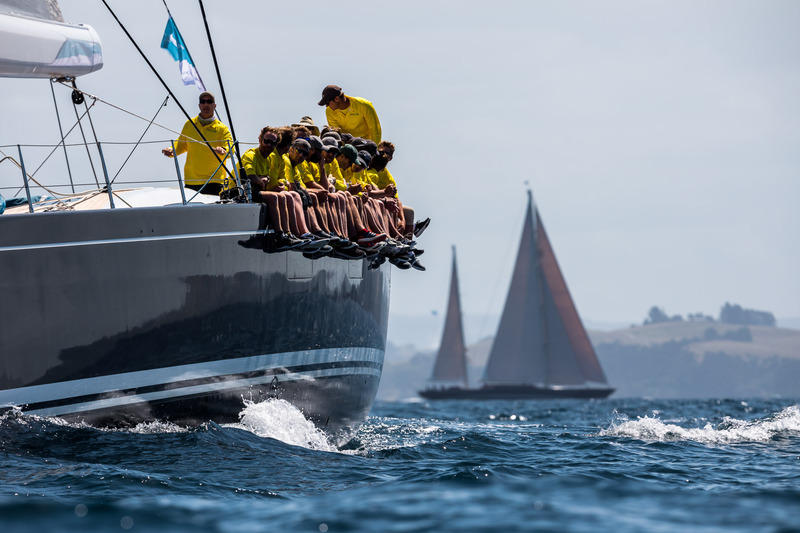 On corrected time it was Tawera in first place, followed by Freya, Thalia – with a time penalty of five minutes four seconds for crossing the start line early – and then Silvertip. 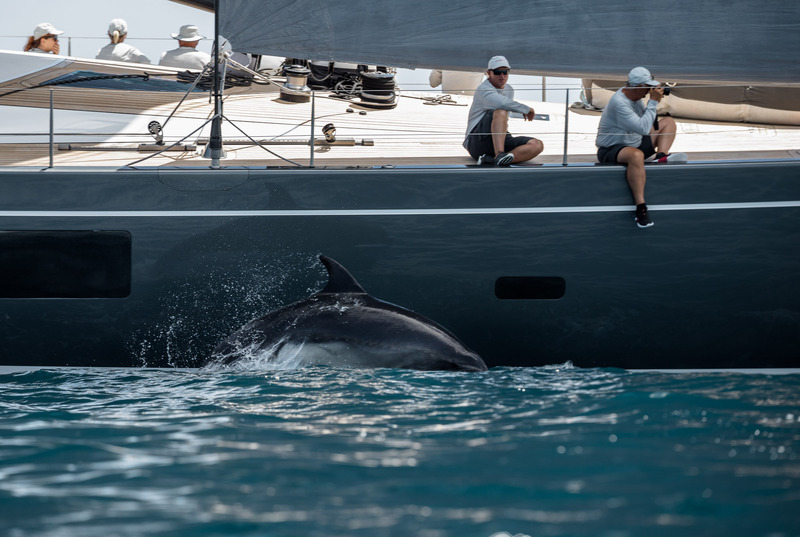 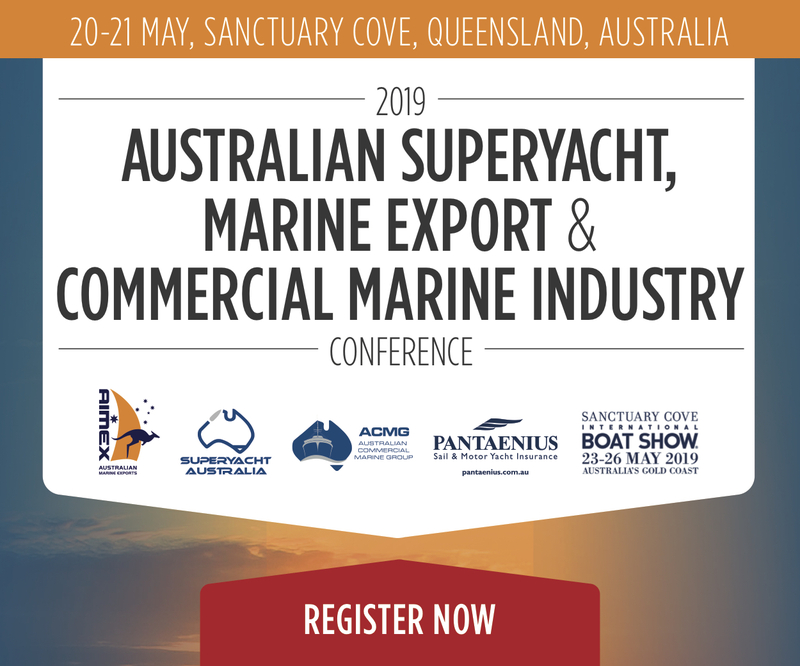 The second race of the day got underway soon afterwards and the short course and strengthening conditions were enough to see a change on the scoresheet. 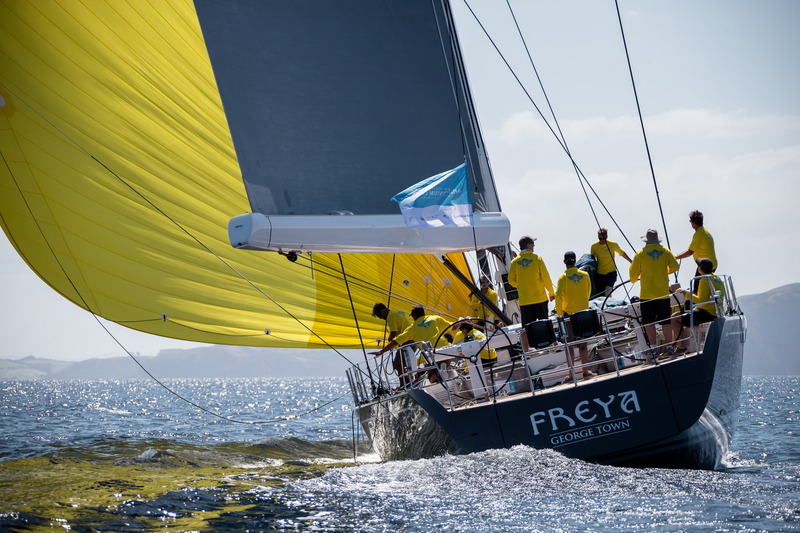 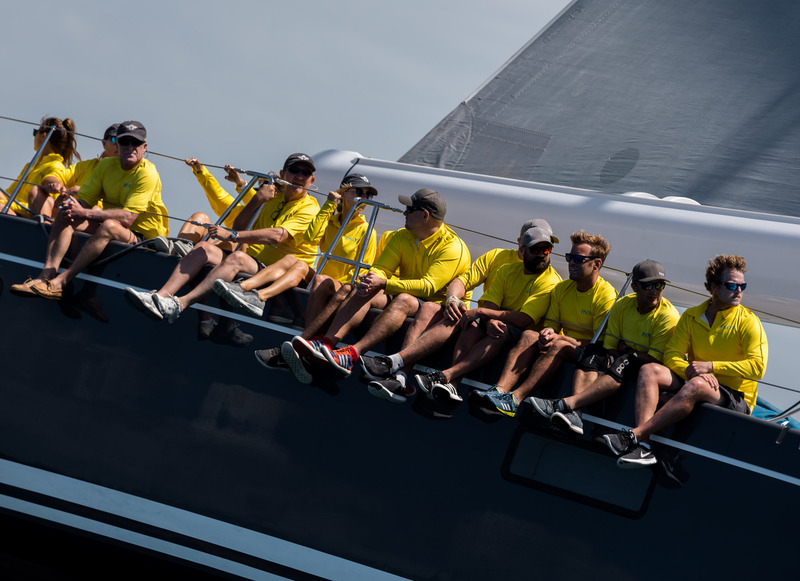 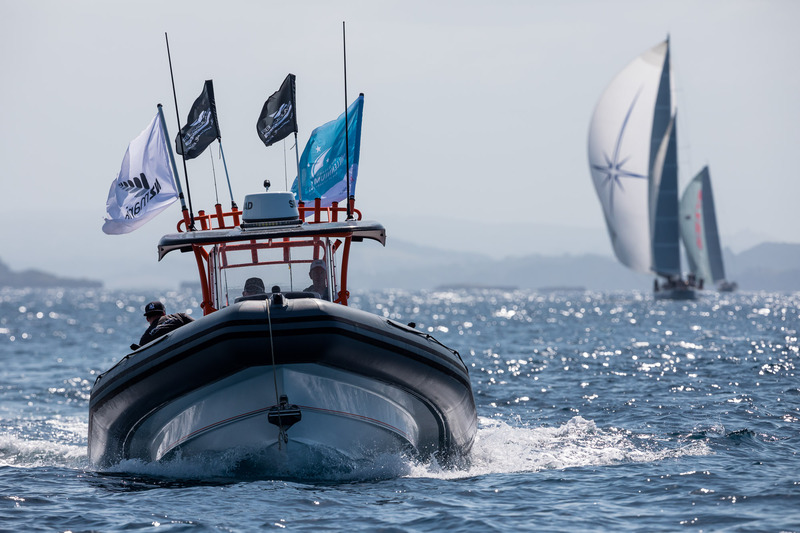 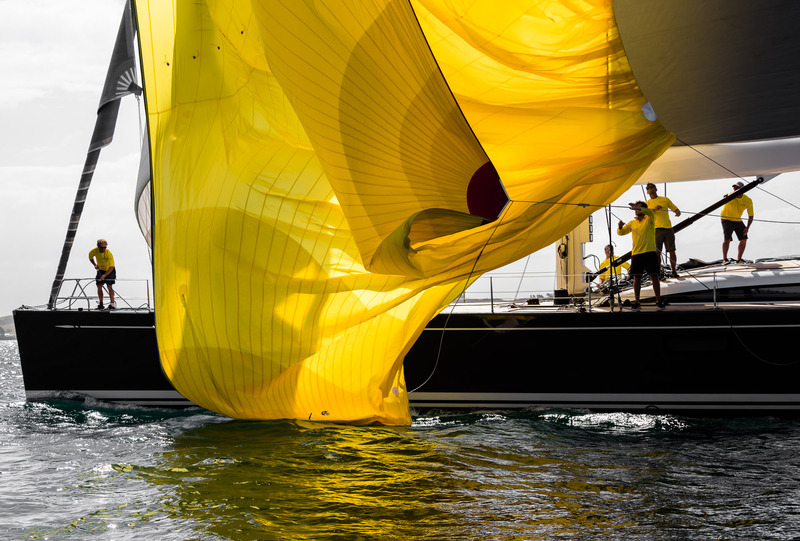 Freya was first again around the Orams Marine Mark – making the team onboard the Riviera nervous as she headed straight for them before a perfect rounding. 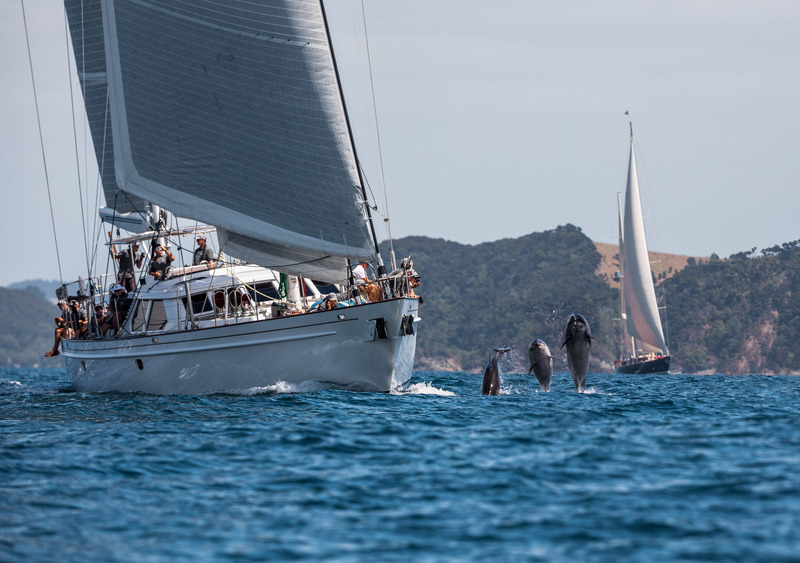 Silvertip took the same line while just behind her Tawera executed a similarly tidy hoist. 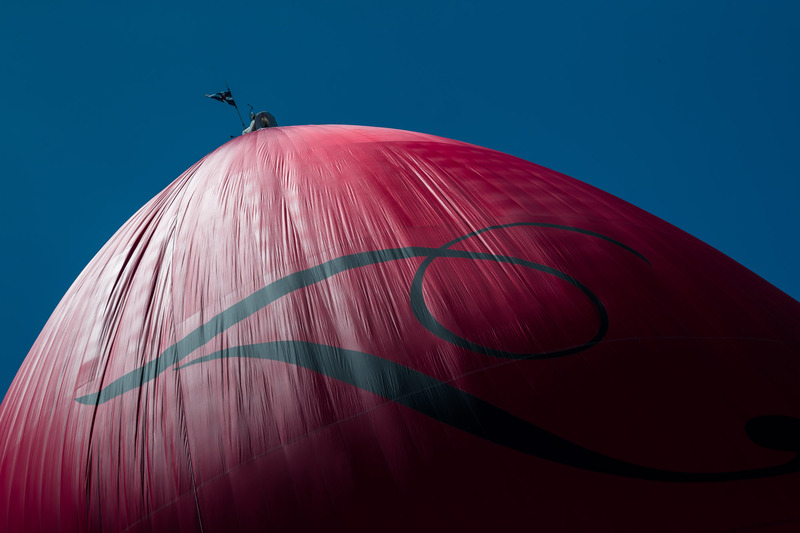 However, it wasn’t the last competition of the day. 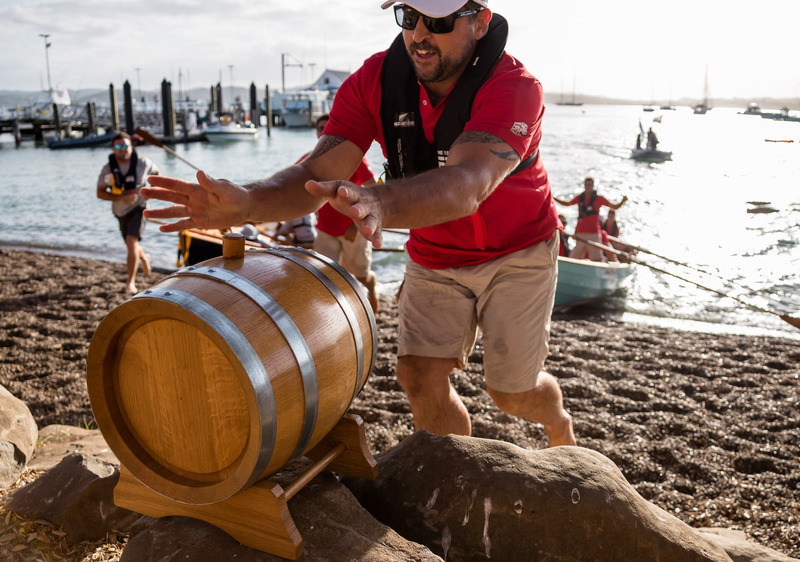 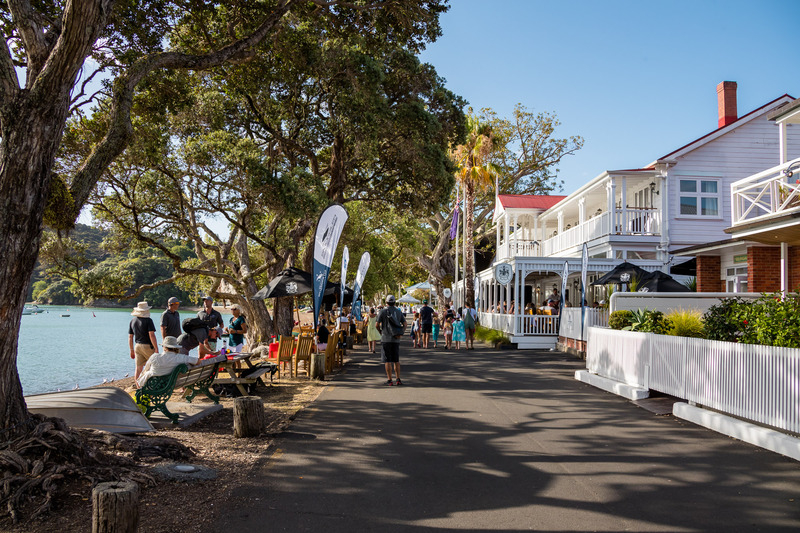 The Tawera Rum Barrel Challenge was back for its second year running. 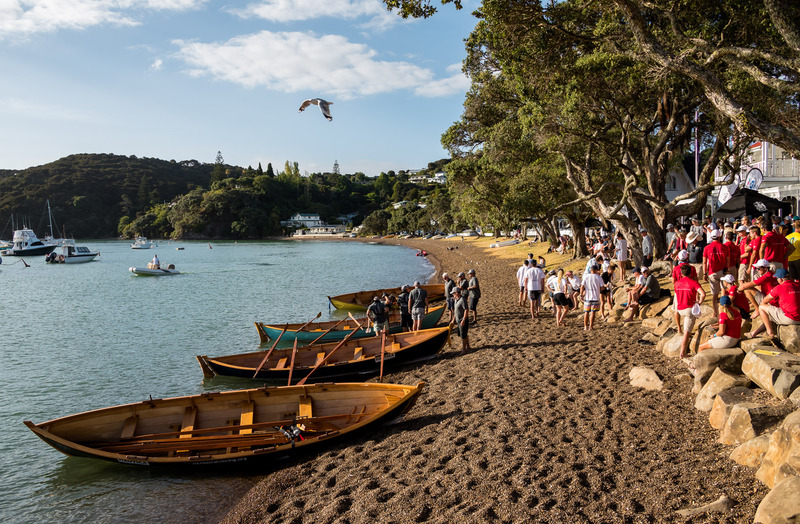 Tawera’s owners, Mike and Tracey Mahoney brought six skiffs with them to the regatta and challenged the crew of their competitors to a rowing skiff race off Russell’s village beach. 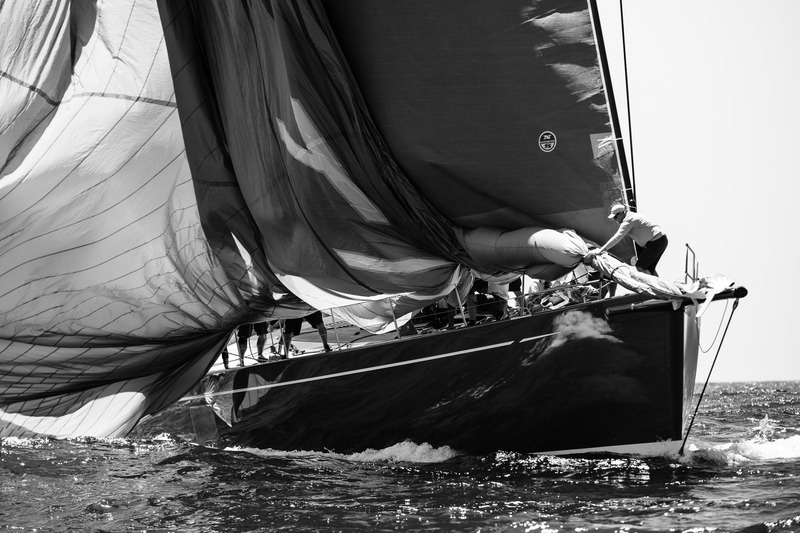 The competition was simple, but the execution was not. 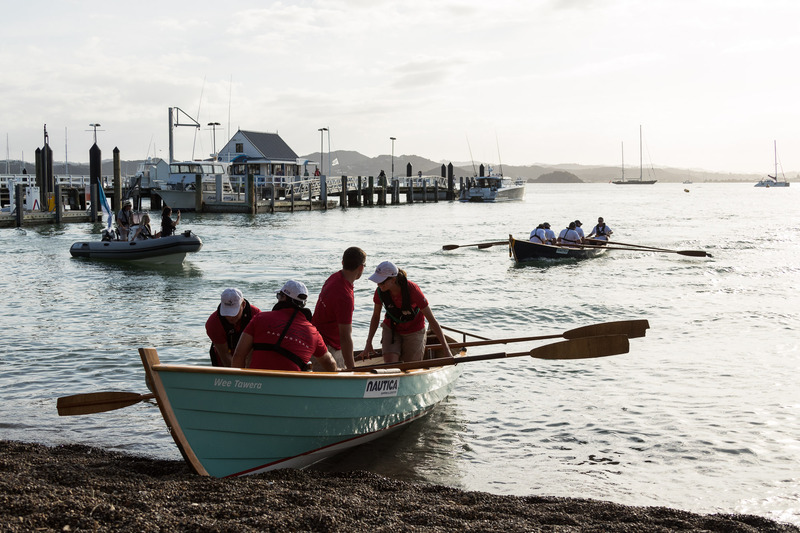 Four rowers and a coxswain were to race the skiffs up to a buoy, round it, and race back to the beach. 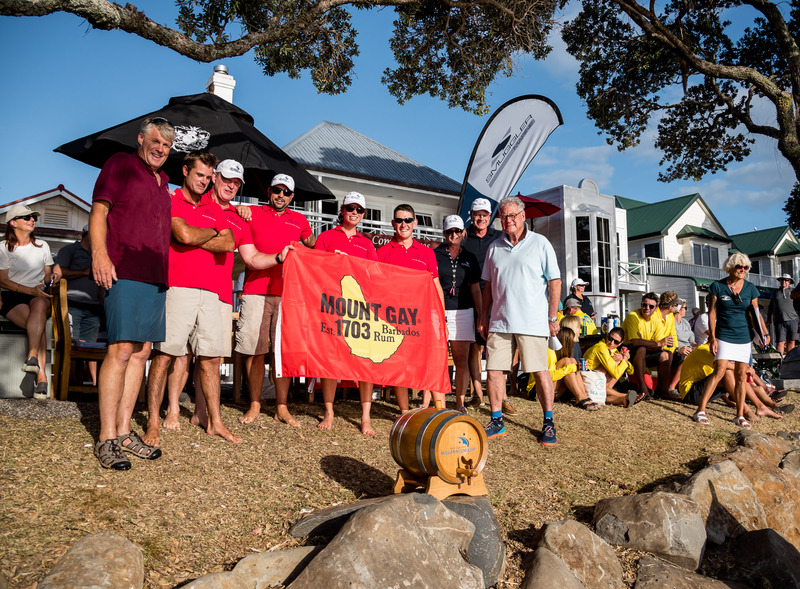 The fastest would be awarded the 20-litre Tawera keg of Mount Gay Rum. 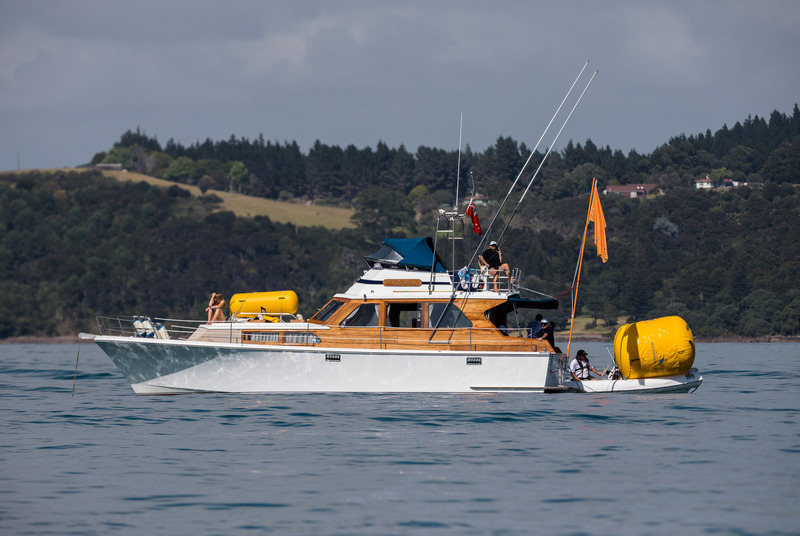 There were dropped oars, dropped rowers, ungainly dismounts and exceptional turns of speed, though in the final heat it was Thalia which shone. 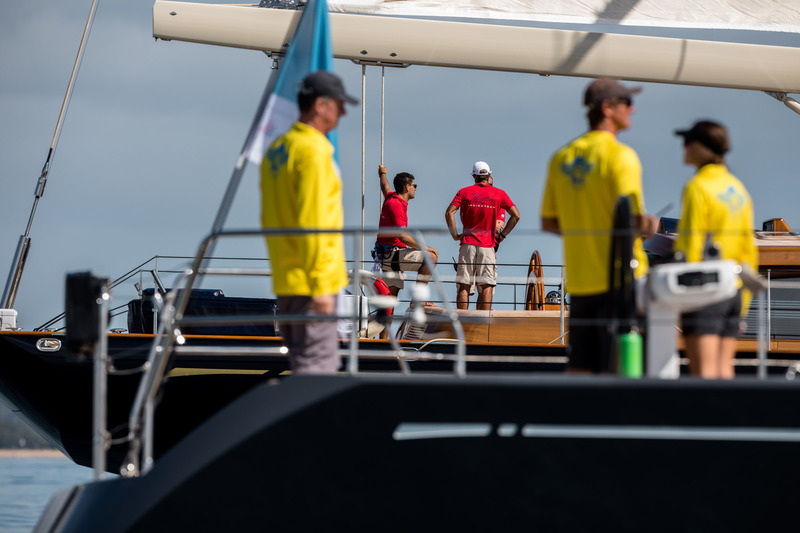 Ultimately claiming the prize, the winning team in red were happy to share some of their bounty with their less lucky competitors.